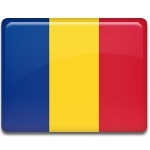 Great Union Day is celebrated in Romania annually on December 1. This holiday was established to commemorate the union of Transylvania with Romania in 1918. The present-day Romania was formed after the end of World War I, when the Romanian Old Kingdom, Bessarabia, Banat, Bukovina and Transylvania united to form a single and powerful state. This decision was proclaimed on December 1, 1918 during the assembly of the delegates and ethnic Romanians held in Alba Iulia. After the end of the Romanian Revolution in 1989 the anniversary of unification of Romania was declared to be a holiday, known as Great Union Day. In 1990 Great Union Day was declared National Day and the holiday gained the status of a public holiday. The law doesn't explain the significance of this day as the national day, but it's believed, that changing of the date was made to affront the Hungarian minority in Romania. Originally National Day in Romania was celebrated on May 10, that marked the day on which Carol I had set foot on the Romanian land and the day of ratification of the Declaration of Independence.